Dexcom is the leader in continuous glucose monitoring for people with diabetes. Released in June 2018, the Dexcom G6 continuous glucose monitoring system uses a small sensor placed on a patient’s lower abdomen that wirelessly sends their glucose levels to a smartphone, smartwatch or receiver, allowing them to closely and discreetly monitor their numbers without being required to prick their fingers for diabetes management. The system also has built-in alerts and alarms that proactively notify patients and their family and friends before their blood glucose reaches potentially dangerous levels. Unlike a blood glucose meter (BGM), which provides just a single glucose reading, CGM systems can provide real-time, dynamic glucose information every five minutes — up to 288 readings in a 24-hour period. You can gain valuable insight about your glucose levels, rate and direction of change, giving you additional insight to proactively manage your diabetes. 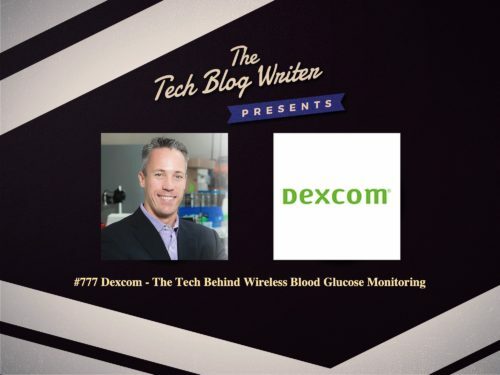 Jake Leach is Chief Technology Officer at Dexcom and joins me on this daily tech podcast to share how they are using sensors and wearables to transform the lives diabetics. He is responsible for the leadership of scientific research, engineering, product development, and project management. Jake oversees the development of next-generation products and leads a large organization of amazing people. His teams are responsible for delivering best in class glucose monitoring technology paired with an exceptional user experience. He joined Dexcom in March 2004 to lead the development of sensor electronics which were part of the first generation Dexcom system. Jake has served in various roles within Dexcom including Senior Vice President of R&D, Senior Director of R&D, and Manager of Engineering.